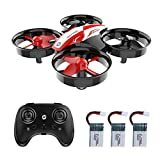 Quadcopters are computer-equipped aircraft that are designed to take photos and video of a given area or a specific object. The principle of its flight is based on the regulation of the speed of rotation of engines with propellers, two of which rotate clockwise, and the other two – against its course. 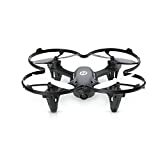 Our site provides reviews of different types and models of quadcopters. 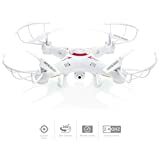 The quadcopter is not just a toy, any unmanned aerial vehicle presented in our catalogs can be used both for entertainment and in professional activities. The question of choice can hardly be called simple. The number of UAV models in the hundreds of items and this is without taking into account the sets and components for self-assembly. Differences in functionality, performance, maintainability and, finally, the cost is so significant that even experienced pilots spend a lot of time picking up a new rotor. For beginners, all this often turns out to be a dark forest. Opens our hit parade budget quadrocopter from the company Syma. The X15W is a small, controlled aircraft with an integrated FPV camera. He gained popularity among novice pilots for his simplicity and low price. 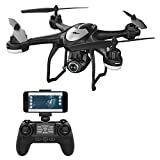 In standard, a quadcopter comes with a 480p camera, with which real-time video is transmitted via wi-fi to a smartphone. Although it is inexpensive, the GPS module is built in, which is not typical for budget drones. 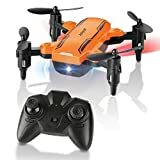 The quality of shooting video in the basic version is low, but there are several flight modes, as well as an automatic take-off and landing function. Also included with the quadcopter is a remote control, but without a display. In fact, this controller resembles a Syma X8SW joystick, only slightly reworked. The threshold radius of removal from the translator is 70 meters, while the full battery of the copter lasts about 7 minutes. Aggressive design, reminiscent of insect coloring with propellers, and a rich selection of options inside. 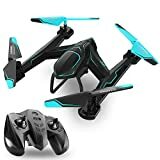 Its built-in barometer allows you to adjust the specified height, the copter can move smoothly in the air, even in the presence of light interference. The control panel looks like a Playstation joystick, with a smartphone mount. The 2-megapixel video camera allows you to shoot video in 720p mode and take high-quality photos. On the remote there is a “Home” button when clicked, the drone will head for returning to the point of departure. 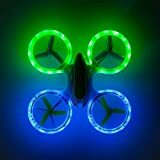 The quadcopter is equipped with LEDs, thanks to which it is clearly visible even in the dark. On board, there is a Headless mode, with which the beginner does not have to worry about the spatial orientation of the copter. 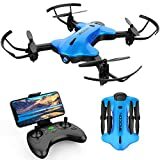 It costs the drone as much as the X15W, but their functionality is somewhat different. Another representative of the company Syma in our rating, a miniature, and comfortable drone. This baby weighs only 47 g, so it does not have to register, but because of its small size, it cannot fly far and long. Of course, the main part of its weight is a camera, which may disappoint an amateur photographer – the resolution of 0.3MP in our age of technology already seems outdated. From the owner, the drone can be removed only 25 meters, and the air will last a maximum of 5 minutes. At the same time to fully charge the battery will have to wait as much as one and a half hours. Interestingly, the drone has a built-in barometer, can hold a given height and move in Headless mode, although it fits in the palm of your hand. You should not use this model with a strong wind, but if it is windy outside, it can also be started indoors. The cost of the X21W is slightly cheaper than the X15W. When you see a box with this copter in front of you, you may have the impression that this is just a toy. Most likely, you will be right, since it will not work to make a top-quality video from Q323-B, but you’re going to fly enough. The transmitter provides communication with the quadcopter at a distance of up to 100 meters. In the air, quadrocopter will stay up to 15 minutes, which is very much for the device of this segment. The video is broadcast from 0.3mp camera to a smartphone, a camera with a suspension, and the suspension can be controlled from the remote. The console here is made without problems, with a simple design and a simple LCD screen with information about the flight status. The quadcopter can automatically take off and land, but the GPS here, unfortunately, is missing. Many parts of the device can be replaced – spare parts are easy to find on sale. 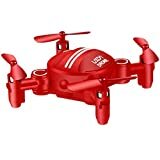 The quadcopter with a catchy design from the famous manufacturer Hubsan. Outwardly, this drone looks like a combat flying robot, although its functions will certainly surprise you. H507D will be your best companion because it has a mode of “Follow Me”, which sometimes lacks budget models. Thanks to the design and stabilization system, stability in the air allow the drone to move smoothly even in windy weather. 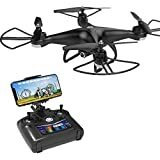 The flight duration is up to 10 minutes, and in flight, the drone can broadcast a 720x (60) video screen built into the control panel, up to 100 meters away, which you will not see in the models described above. The device itself is partially autonomous, it knows when the battery sits down and can independently return home if the signal from the console disappears. The functionality, very worthy for a budget drone, is enclosed in a monster weighing as much as half a kilo. Being a representative of the middle segment, Q696-A works with the use of advanced technologies typical of more expensive premium models. With a 5MP camera, you can shoot really high-quality video and take high-resolution photos. The camera itself is placed on a 2 axial suspension, with which you can keep the focus on the object, regardless of the orientation of the quadcopter. 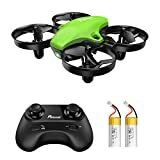 Charge the drone battery will have 3 hours, and it flies 15 minutes. Telemetry data are visible on the control panel – you can track speed, flight altitude, battery charge, and other parameters. There is a flight mode Headless, and the maximum distance from the remote control is 150 meters. 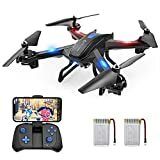 One of the best quadcopters from Syma turned out to be in the top five, at the moment X8PRO is very relevant – it has an integrated GPS module. With the help of GPS, improved flight control is carried out – the drone steadily stays in the air even in bad weather conditions. The flight is corrected not only thanks to the GPS sensor, but also an advanced barometer. Included with the device are removable legs, on which the drone lands. Assembling the device is very simple, from the moment you open the box to launch the copter, you should take no more than 5 minutes. In the air, the X8PRO can hold out for a maximum of 9 minutes, and fly away from the pilot by 70 meters. In the top three champions was the CX-23, a transitional model between the middle and premium classes. It costs 2 times more expensive than X8PRO, but its capabilities are much wider. It has non-standard aerodynamic characteristics – its rear propellers are turned to the ground, which in flight gives the best stability. A small screen has a small screen built into which all instrument indicators are transmitted. Built-in GPS makes it possible tricks like an auto return to the owner and radial flight around a given point. The drone will be able to fly for 15 minutes, but this is not the main thing – the flight range is 500 meters, you will not find such a figure even in most premium segment models. Camera 2mp records video in FullHD, there is an SD card in the set where the recording is saved. One of the best Multi-Kopter presented in our ranking. 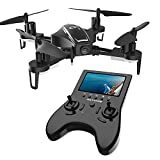 The ideal ratio of price and quality, complete there are many consumables, a remote and FPV-monitor, as well as batteries for all devices. Its modern design will not leave you indifferent, and the flight dynamics will give a lot of fresh impressions. The model is perfect for a beginner – there is protection for propellers in the kit. In the air, the X1G will last up to 15 minutes and can be removed from the operator as much as 400 meters. 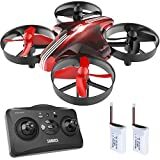 You may be surprised that the copter moves quite quickly and silently for its size, accelerating at the same time to 50 km / h. The camera and remote control work at different frequencies, which helps eliminate interference with controls. Famous and very beloved among the “Dronofilov” unit from the leading manufacturer, has repeatedly become a favorite of our ratings. DJI has few serious competitors in the market, but they require a lot of money for the “hard” stuffing of their creations, so Spark cannot be rightfully called the budget model – it will have to be spent on it. DJI drones are famous for their functional firmware and high level of autonomy. Spark can follow the owner in automatic mode, flying around obstacles, thanks to the many built-in sensors and a processor with an integrated AI module. 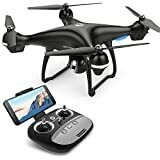 The battery is enough for 16 minutes of flight at medium speed, and an advanced 12MP camera with an intelligent stabilization system captures the flight. Kopter itself can take off and sit down, he knows where his house is and will not be lost if the signal disappears from the console. 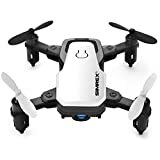 None of the presented models in the list can fly around obstacles, and this is where DJI Spark’s opportunities are far from being exhausted – only after its purchase, you will realize that the money was well spent.